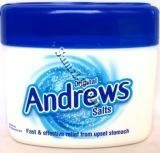 For fast and effective relief from upset stomach. This is a strong laxative (purgative) obtained from natural sources and used for many generations. This is best taken in milk or fruit juice. FOR GENERATIONS GUNINEA HEN WEED (PETIVERIA ALLIACEAE) HAS BEEN USED FOR A VARIETY OF APPLICATIONS. This Herb is recommended for billiousness, cold, gas, constipation and bad stomach. Women with painful menstruation can drink it to purify their blood and cleanse the system. WITH A FUSION OF ROSEMARY, SHEA & BLACK CASTOR OIL. AFTER HAIR HAS BEEN WASHED & CONDITIONED, POUR ENOUGH LEAVE IN CONDITIONER INTO YOUR PALM AND APPLY TO WET HAIR. TROPIC ISLE JAMAICAN BLACK CASTOR OIL 4 OZ. LIMITED QUANTITY IN STOCK! This product is real Jamaican Black Castor Oil. Click product photograph for more details. THIS IS A CASE OF 12 8-OZ. BOTTLES. FREE ground shipping within the USA. SAVE OVER $100. We will ship this item to the billing address only--unless otherwise specified in the "Special Instructions" on the Checkout page. WOULD YOU LIKE TO BE LISTED ON OUR WEBSITE (Free)? No, do not list me on your website (sams247.com). Yes, list my State/Country and my Email Address. TROPIC ISLE JAMAICAN BLACK CASTOR OIL 8 OZ. Black Castor Oil is a powerful healing oil that has withstood the test of time. It is the end result of an ancient method used in preparing and making castor oil.